Private Collections are filled with the traces and imprints of inspiring women. Charlotte Hilton Green (1889-1991) is one of the many women deserving of tribute. A native of Chautauqua County, New York, Charlotte first taught school in a one-room school house, as early as 1909. Students included distractible boys who would rather shoot birds and animals than study them. Yet Charlotte was successful, in large part, because she developed the art of creating interest and communicating on a child’s level the complexities of science and nature study. Later, as writer of a weekly nature column for the News and Observer, Charlotte developed a wide following––which many attributed to her ability to put scientific facts and environmental issues into layman’s terms. That nature column, called “Out-of-Doors in Carolina,” ran for 42 years, from 1932 to 1974. Charlotte’s first columns attracted the attention, among others, of the state director of primary education (now Office of Early Learning, N.C. Department of Public Instruction), Hattie S. Parrott. She recommended that Charlotte’s articles be compiled and published. The result was Birds of the South, published in 1933 by the University of North Carolina Press, and featuring an introduction by Clement S. Brimley. Charlotte’s next book, Trees of the South, came out in 1939, with an introduction by North Carolina’s first state forester, John Simcox Holmes. The Greens named their first residence in Greenacres “The Willows.” Though extensive and grand for its time, it did not meet their needs, hence they built a second home. Named “Brookside,” this home was where the couple spent the World War II years, with Ralph maintaining his war garden and Charlotte continuing her writing and lecturing. Charlotte’s manuscript contains a poignant reference to Brookside and includes a startling reference to the killing effects wrought by insecticides and cats allowed to roam at will. Sadly, Ralph became ill during that period and was incapacitated for months before passing away on June 15, 1946. Charlotte reluctantly left “Brookside,” and built a small two-story house. There she lived upstairs among the trees, hence the name she chose, “Treetops.” Charlotte, always an independent and self-reliant woman, continued to write and deliver lectures, and her life went on without her beloved husband. A childhood dream had been to travel widely, and so she did. She journeyed, first to Europe, then to Africa, Japan, the Galapagos, other parts of South America, and to the Arctic Circle. Charlotte’s adopted state, North Carolina, continued to pique her interest, and she committed herself to exploring its terrain. As an example, Charlotte was 60 when she agreed to accompany a group of Girl and Boy Scouts, all in canoes, on a two-day trip on the Neuse River, from Raleigh to Kinston. 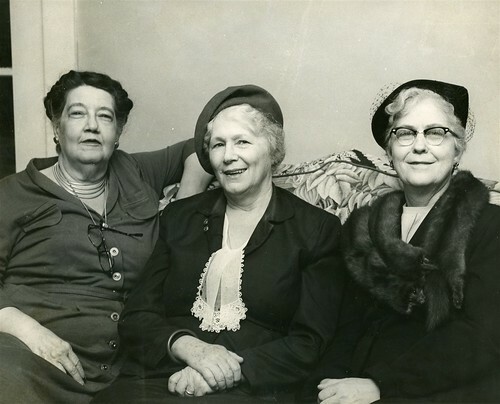 In a twist of fate and another dream come true, Charlotte gained neighbors in 1948 who proved to be kindred spirits. 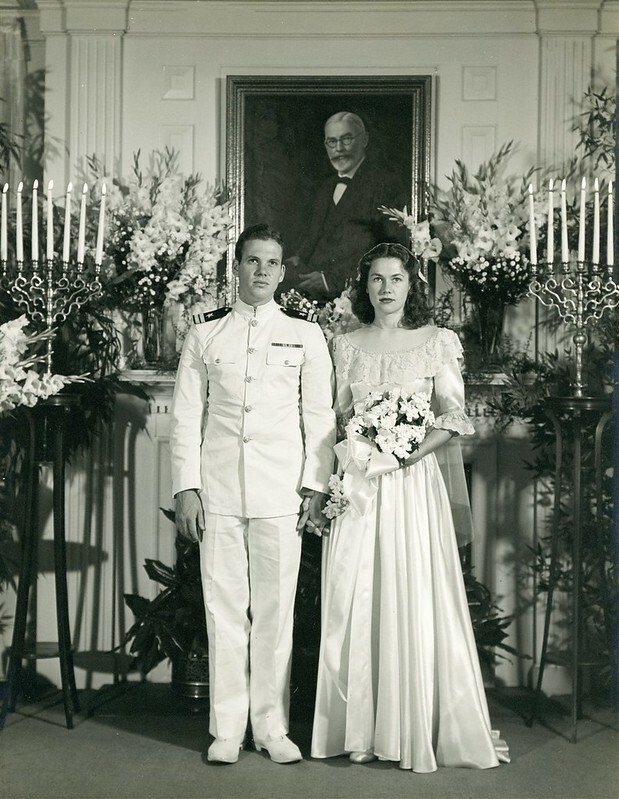 These were two young newlyweds, William and Mary Coker Joslin, who shared with Charlotte a deep commitment to the environment and its conservation––among other causes and interests. (Their papers are also in Private Collections, under the title, William and Mary Coker Joslin Papers, PC.1929.) During the 1980s, when Charlotte was over 90 years of age, another part of the original Greenacres tract was sold to a buyer who intended to divide and then develop the property into several residences. The Joslins, with the advantage of William’s legal expertise, rallied the neighbors and eventually defeated the development plan. Charlotte in center with William and Mary Coker Joslin on either side, on their property prior to dedication of the park named for Charlotte, April of 1987. Photo courtesy of Ellen (Nell) Devereux Joslin, who contributed a copy also in the Joslin papers. For over 60 years, from the time that they first met Charlotte, William and Mary Joslin began cultivating their own four and a half acres. It became part of their estate planning that their property, in near proximity to Greenacres, would eventually be donated to the city. During the period following William’s death in 2011, the City of Oaks Foundation was formed to own, manage, and support the gardens. Now in cooperation with Raleigh’s Parks, Recreation, and Cultural Resources Department, the foundation is carrying out the Joslins’ vision of a woodland refuge with native and rare botanical specimens. Surely the Joslins, along with Charlotte Hilton Green, remain kindred spirits forever and continue to inspire the best in commitment to nature and land conservation.